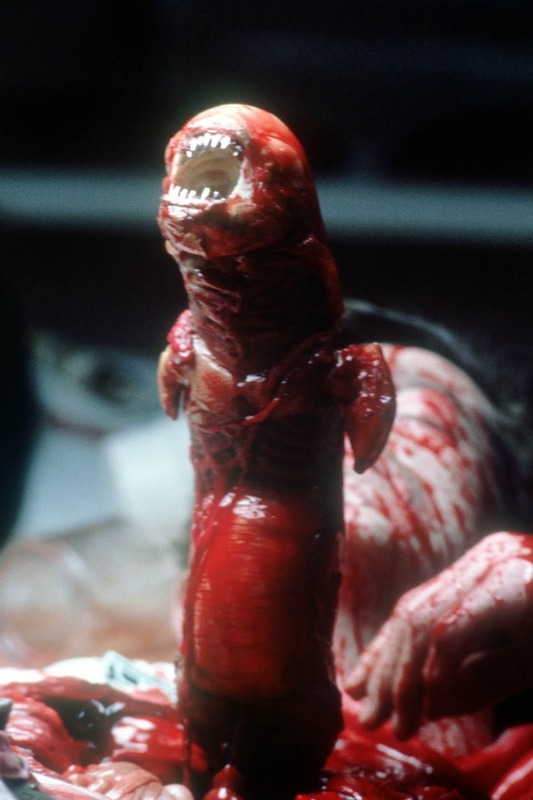 THE ALIEN, SECOND PHASE: Once the Alien (First Phase) has attached itself to the face of a victim, it lays eggs in the victim’s stomach, and the egg grows into the Alien (Second Phase). This is a small creature which bites its way out of the victim’s body. When Hans Ruedi Giger was finally hired as a designer for Alien, he was assigned the task to conceive all the otheworldly aspects of the film — the planetoid, the Derelict and its Pilot, and the Alien itself in all of the stages of its life cycle. 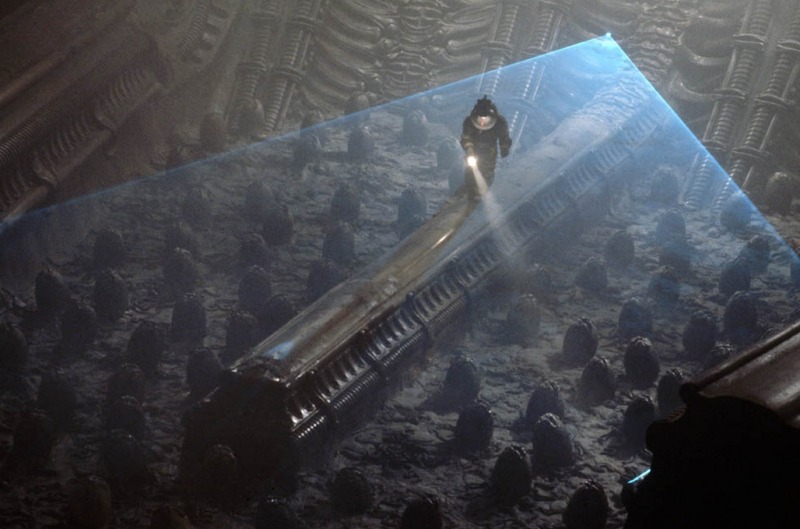 Obviously unable to also construct all the needed creature effects within the tight schedule of the production, Giger was aided by special effects veterans attached to the project. First hired was Carlo Rambaldi, in the wake of his special effects work on John Guillermin’s King Kong. Though enthusiastic about the project, Rambaldi’s availability was limited, due to having already committed to other projects (such as Nightwing). Also hired was sculptor and model maker Roger Dicken, who had collaborated with associate producer Ivor Powell during the production of 2001: A Space Odyssey. Dicken also provided some of the sound effects for the Alien, in collaboration with Percy Edwards.